Start saving money in college? Are you CRAZY?? Is saving money in college possible? While it may seem like a challenge, many of today’s college students are focused on tackling their debts before they graduate. Cutting costs and earning extra funds doesn’t have to be difficult. From books and other supplies to entertainment, we have the best tips for saving big as you enter the spring semester. At the same time, more bookstores – on campus and online – are offering students the chance to rent textbooks instead of buying them. Just make sure you take excellent care of them. Marks in the margins, damaged pages, and lost books will result in extra charges. Budget-savvy students sometimes take the risk and look online for used copies. Cheaper textbooks are found on sales sites, like eBay and Facebook buy-sell groups, as well as major retailers catering to students, like CampusBooks.com. Second-hand purchases come at significant savings, but they can also include mistakes and outdated information. More importantly, they might not give students access to important online components. When in doubt, talk to your professors about which books need to be new at the start of the semester. Sometimes students rely on the buddy system. Using social and online connections, students in the same classes can share textbooks. This is an excellent way to start up study groups as well. College students spend approximately $5.5 billion a year on alcohol. That doesn’t scratch the surface of what gets spent on pizza, burgers and the caffeine needed to get through late-night cram sessions. They also spend about $3 billion a year on entertainment and another $5 billion a year on clothing. College life is synonymous with living a life of excess, but that also leaves plenty of room for cutting back. The good news is college housing often provides free food and activities for the cash-strapped. Students can create new opportunities that fit their interests too, often with the help of outside funding. Even alcohol can be found at campus functions for free. Just be sure to use caution when deciding what, where and how much to drink. People hosting parties don’t always have the best intentions at heart. Every March and April, students from the U.S. flock to warm-weather destinations to unwind. It’s one of the rights of passage of the American education system, and it gets increasingly more expensive every year. If you want to save money while you’re in college, it’s important to pick and choose when it comes to spoiling yourself. Depending on your budget and the amount you want to stash away, this could mean staying home during Spring Break or choosing a less expensive destination. Heading to Miami or Cabo instead of Jamaica could cut your budget in half. You can also reduce the number of days you spend on vacation or choose a different type of getaway. The budget for a three-day cruise pales in comparison to that of a week spent at an all-inclusive resort. There are two ways to save money. The first involves lowering your cost of living. The second requires a second job. Thankfully there are ample opportunities for college students to bring in extra income, from working at the campus bookstore to tutoring or working in retail. Workstudy jobs available through a college tend to pay better than minimum wage and may only take a few hours a week. They’re a wonderful way to start saving away extra money. Financial responsibility is a skill you develop from the first dollar you earn. Struggling to pay down student debt while starting your new life after college doesn’t have to be part of the process. By making reasonable sacrifices while you’re still in school, you can start off your adult life in a much better position than earlier generations. The sooner you start, the sooner you’ll enjoy a life of financial freedom. 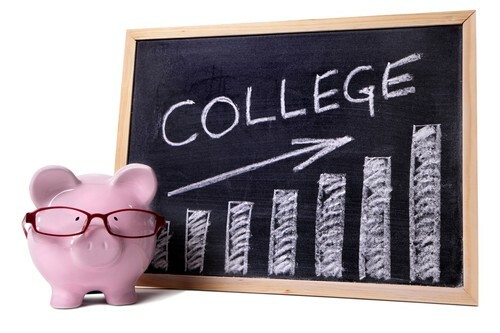 Even if you’re already started saving money in college, you may need a title pawn to help you in the meantime. Come on into Title Tree, and we can help you get the cash you need.